Rabbi Jonathan Rosenblatt, the New York spiritual leader who has been under fire for having sauna chats with boys in his congregation, reportedly has resigned from his Bronx synagogue. 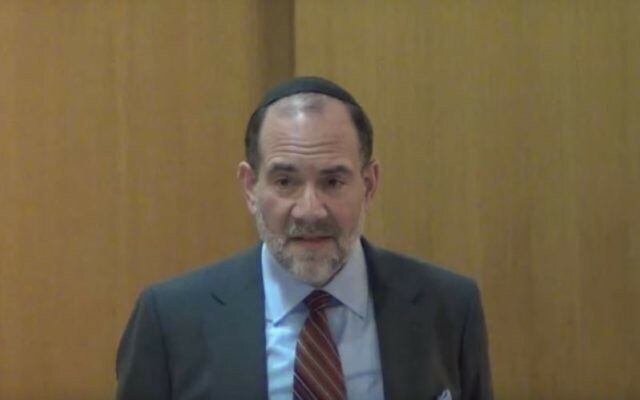 Rosenblatt told the Riverdale Jewish Center on Wednesday that he will step down as senior rabbi, the Times of Israel reported Thursday. He has served in the post since 1985. The decision was announced in an email letter sent to the synagogue membership on Wednesday evening signed by the synagogue’s president, Samson Fine, the Israel-based news website reported. No one cited in the story accused Rosenblatt of sexual touching, but several expressed their discomfort with the practice and described the behavior as deeply inappropriate for a rabbi and mentor. At various times, Rosenblatt was told by rabbinic bodies or his congregation’s board to limit such activity. The synagogue determined early last June that no misconduct took place during the sauna sessions, and that Rosenblatt adhered to established guidelines in engaging with the boys. Rosenblatt apologized in a letter to the congregation for inappropriate behavior and denied any criminal wrongdoing. Following the Times story, the RJC’s board of directors voted 34-8 to seek a financial settlement to get Rosenblatt to resign his pulpit. But Rosenblatt vowed to stay on, saying that removing him would be a “disproportionate” response. Hundreds of congregants signed a petition backing the rabbi, while far fewer signed a competing petition calling on Rosenblatt to resign. Rosenblatt, a Baltimore native, studied in Israel at Yeshivat Har Etzion and was ordained by the Rabbi Isaac Elchanan Theological Seminary of Yeshiva University in 1982.